With various reports trickling in about the death toll of workers involved in the various projects for 2022 FIFA World Cup, it is certainly become a matter of grave concern for the administrators. International Trade Union Confederation has even gone on to say that – over 1,200 migrant workers have died (while official estimates are around 943 people), and over 4,000 laborers might die in the long run, if safety precautions are not adopted by the Qatari officials. 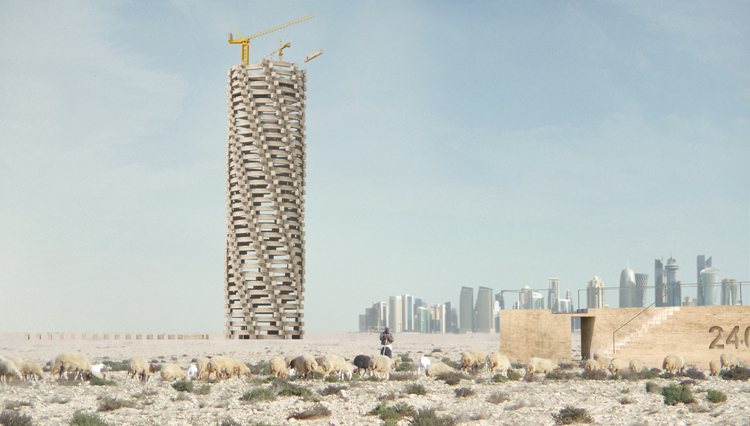 And now, while the architects and FIFA itself have absolved themselves of any responsibility, 1 Week 1 Project (1W1P) has come up with the conceptual memorial of a haunting tower that will symbolically allude to the deaths of the workers. 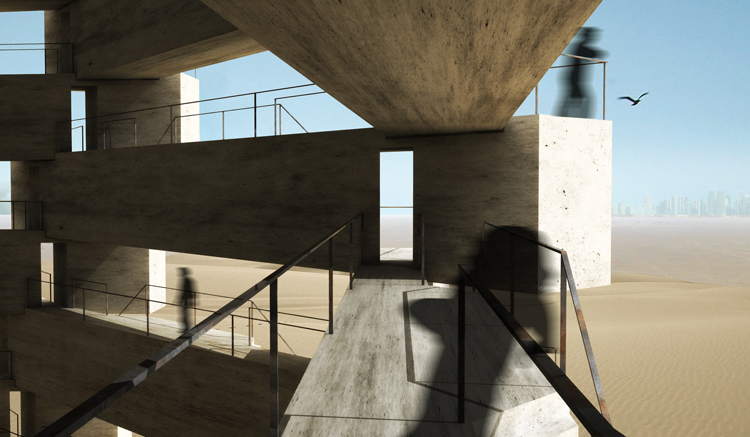 The sculptural endeavor will entail a hollow circular structure that is composed of interlocking concrete beams. 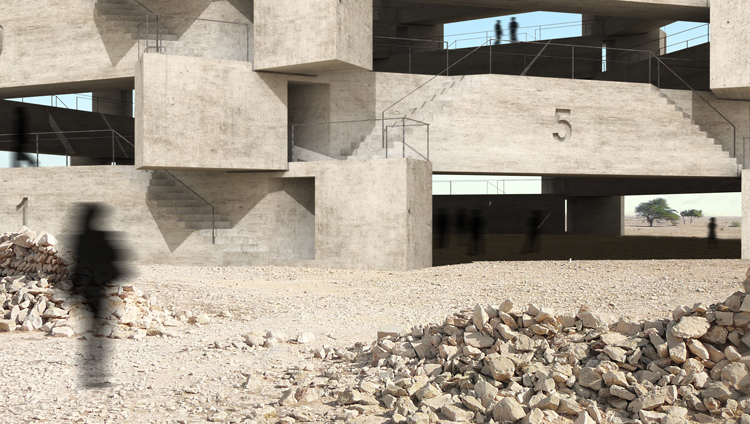 Each of these robustly constructed beams will represent a deceased worker, while accessible staircases will connect the individual arrangements from the user perspective. 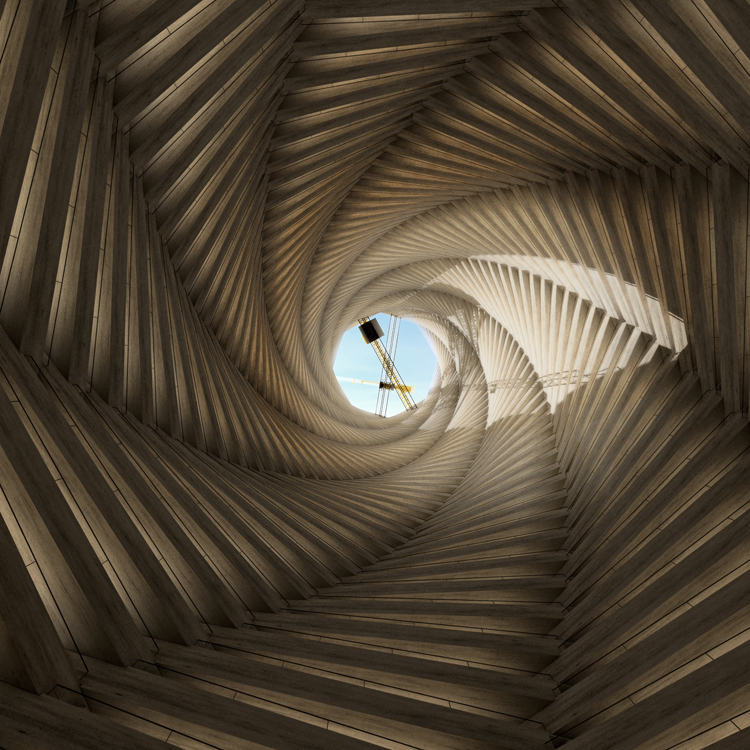 In essence, this would allow families and mourners to traverse through the structural array, and pay their last respects (on a personal level) to their fallen relatives or associates. 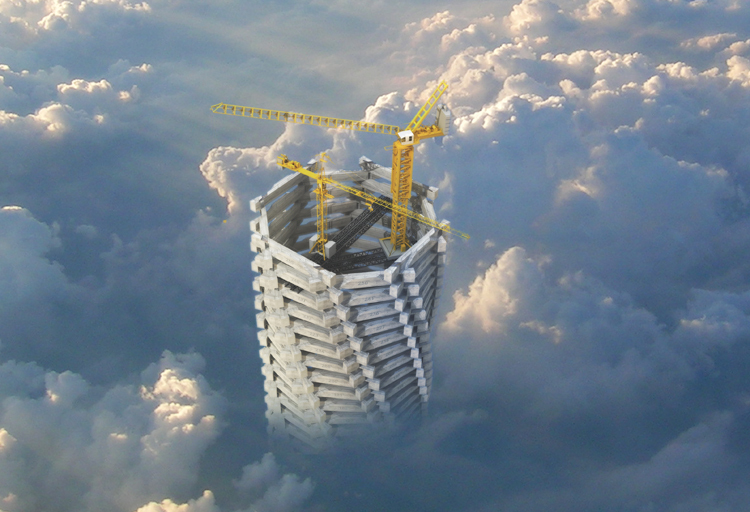 Arguably, the more poignant and distressing part of the architectural scope will entail the addition of a crane that will be on an ‘alert’ mode. This machinery will be used for stacking up extra concrete beams when any further deaths have resulted from the World Cup construction sites. 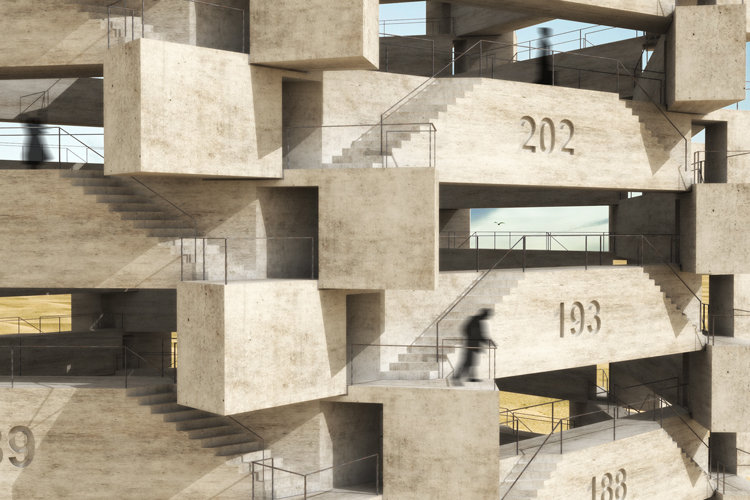 According to the 1W1P designers, the memorial might even reach the height of a mile, if the disturbing trend of unsafe construction practices continue unmitigated inside the rich Persian Gulf nation.